I was terrified of the dark as a kid. Like, morbidly terrified, slept with the light on every night. I was convinced – well into my teens – that velociraptors were a feasible threat to my safety. My little sisters call me Bobby. I have no idea why. Heights and frogs. A frog jumping on me while on the edge of the roof of a skyscraper would probably literally kill me. Quirky, witty, playful, full of pop culture and multi-media. Pyjama enthusiast. Tea drinking fiend. I connected very deeply with Hermione as a kid, so probably her. Oh and I used to think I’d totally win the Hunger Games, and then I played laser tag for the first time and died. Very quickly. Oh, tricky! On the one hand I’d love to travel back and meet, say, Leonardo da Vinci… but then I remember that they didn’t have antibiotics there and I’d probably die pretty quickly. So let’s say I’ll go to the future. Visiting the first colony on Mars sounds pretty good. In my life, probably my parents. My mother is an incredibly strong woman, and I owe my profound love of sci-fi to my stepdad. In my writing, I owe a lot to every author I read when I was growing up, but I probably owe the most to J.K. Rowling, Tamora Pierce and Scott Westerfeld. The first writer who made me want to become a professional writer was Scott Westerfeld. a) because I loved his books and b) because he lived half of the year in Sydney and half of the year in New York, and I thought that was pretty awesome. Oh it changes from week to week! I get words stuck on repeat in my head, and I guess it’s because I like the sound of them. Some of the past ones are: sepulcher, propensity, flotilla, anachronism. Harry Potter counts as one book, right?! Krystal Sutherland is an Australian author of YA fiction. 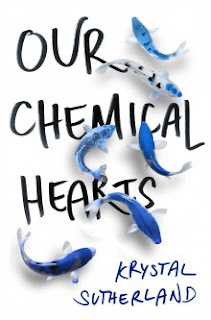 Her debut novel, Our Chemical Hearts, is published by Penguin Books. 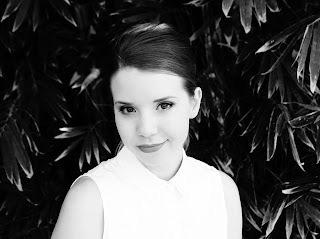 Visit Krystal's website for more information about her writing and author events.